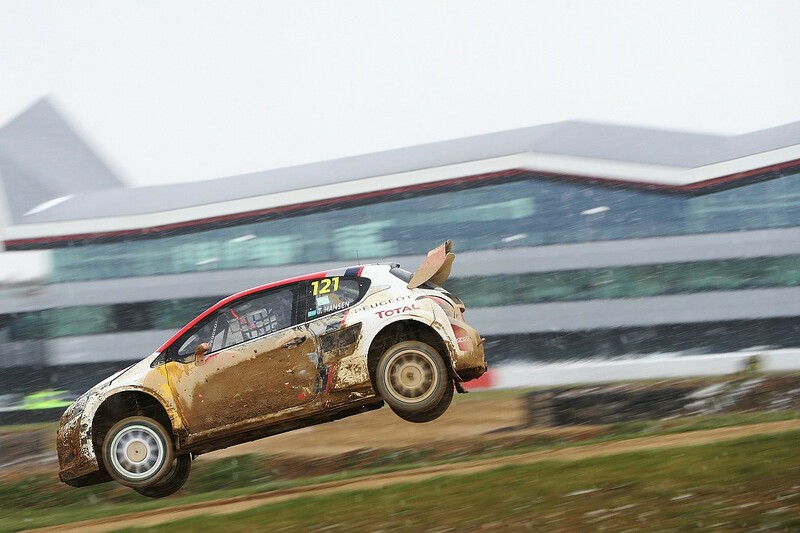 Silverstone entered a brave new era last weekend when it hosted its first rallycross event on the new purpose-built track on the Stowe circuit area, a precursor to the Speedmachine-branded World Rallycross Championship event at the end of May. The inaugural meeting was the opening round of the British Rallycross Championship, which was the perfect curtain-raiser. It was a high-profile meeting to allow organisers to have a run-through of the systems that will be used on May 26-27. It was also a great opportunity for the circuit to be put into use for the first time, and several overseas visitors took the chance to get to grips with the layout ahead of the WRX meeting. 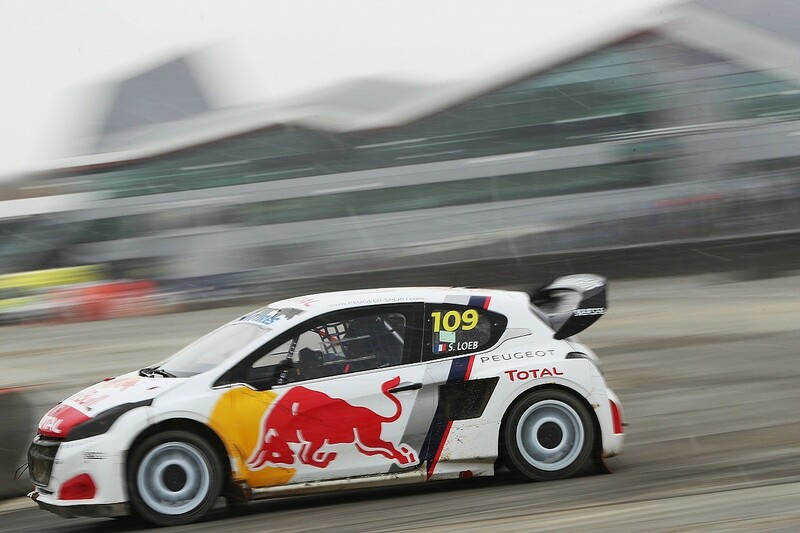 Among them were EKS Audi racer Andreas Bakkerud and the Team Peugeot Total 208 WRXs of Sebastien Loeb and Timmy Hansen. It was more like Siberia at Silverstone. The temperature barely rose above minus two degrees all day, and the snow was relentless. Despite that, there were some positive signs. Bakkerud was keen to get a closer look at the challenge. "People were already saying that the Silverstone track would not be as good because it doesn't have the same viewing for the fans - they said that the spectator stands were too far from the circuit and it was too flat," he says. "But then I got here and walked around the circuit: I think it is going to be a pretty interesting track for the World Rallycross Championship to watch from. The first turn, for example, is great and the fans can get close to the cars at the back of the track and where the jump is." Peugeot Sport boss Bruno Famin was also present at the event, and he realised that the venue itself could be a huge boost for the sport. "This is not my first experience of Silverstone, we won here in the World Endurance Championship with the Peugeot 908. For rallycross it's my first time. "Silverstone is a mythical place for motorsport and this idea to build rallycross circuits in first class and world class circuits like Barcelona and now Silverstone, I think is a very good idea. "You have all the infrastructure, you have everything. It's good on the track, it looks nice. The grandstand is very good, you can see everything. Maybe the track could be a bit faster in a straight line - there are no real straight parts - but it's a great pleasure to race here in Silverstone." The atmosphere at the event was superb and the facilities lived up to all that Famin required. However, there were some concerns about the circuit itself and particularly the surface. It wasn't all the fault of the circuit's creators either, as racer and multiple British rally champion Mark Higgins pointed out. "It couldn't be a worse time of year to try out the circuit and the conditions were dreadful as well, so it was difficult for everyone," he says. "There is the clay on top of the surface, but the tyres just aren't digging through to anything so the organisers definitely need to get something a bit harder on there. "I don't have much experience of rallycross, but it is not really a spectacle when you have to go at five miles-per-hour because of the clay surface. If we can get a hard-packed surface on it, then I think it will be great." Timmy Hansen, who finished runner-up in the final behind Loeb, agreed. "The track was very bad when it was raining and I think they have quite a lot of work to do on the circuit before we come here for the Speedmachine weekend. But the layout is fine, so as long as they put a good effort in, it can be a good race in the summer," he says. "The venue is beautiful, with the wing building, but on the track I'm missing a circuit. I think they need to build some walls and some kerbs to really make a venue out of the whole rallycross track. The jump is good and there is a lot of overtaking possibilities, so there is a lot of potential to do it great here, they just need to put their minds together." The newness of the track was something that Loeb says jarred slightly, but he also bemoaned the lack of high-speed sections. Coming over the start line and towards the opening corner, the cars are at high speed, but the rest of the challenge is more technical. 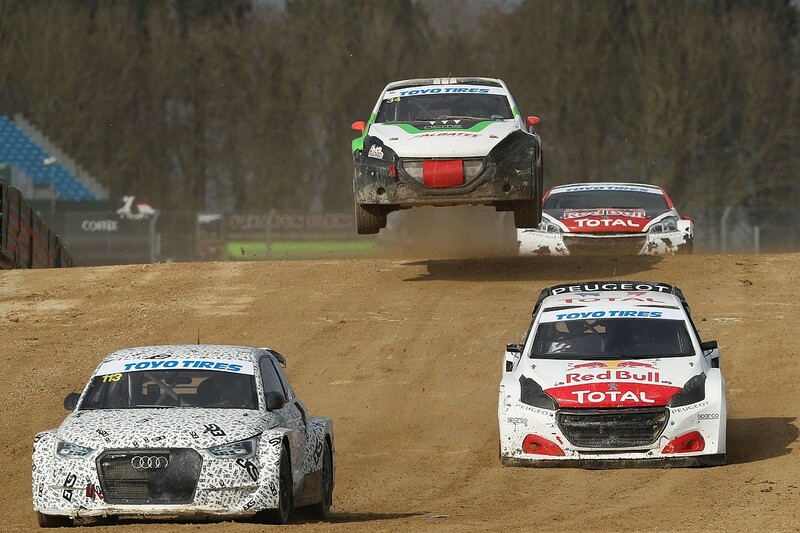 "The circuit is OK but for me it's not fast enough," says Loeb. "Like most of the tracks, it would be more interesting if we could have some very fast sections where we have some fast corners, like in fifth gear with a straight behind, so we could maybe hope to have some more overtaking possibilities. "Here [overtaking] will not be easy, I think there are some opportunities in some places, but not easy. I don't know if it's possible to do some changes [before the World RX round], maybe the track is like this. Also, we don't have any kerbs at the moment, it's just like a natural track." Despite the freshness of the track - which was always going to be the case as the organisers prepare for an event which is still two months away - Bakkerud says he enjoyed the challenge of the 972-metre circuit, which is made up of 60% on the loose and 40% on asphalt. "In the wet, like we have had this weekend, the track is very muddy and greasy," says Bakkerud. "It is the material that they have used for the circuit and it is not what I like. I guess it changes from driver to driver, but with so much mud on the track you can't control the car - sometimes under braking, you are accelerating because there is such little grip. Sometimes, too, the car is rotating by itself. "But if it is dry, I reckon there will be a lot of flow in the circuit and I like the jump, particularly because you have a corner right after it which makes it a real test, and I think the joker lap is pretty cool. Between turns two and three, you have to have a pretty good rhythm there to go quickly. The demands are high and I think you will really see a difference between the fast and the slow guys here." The scene has been set. The dry-run has happened and the next thing is for the World championship to descend on Silverstone. With all the lessons learned from last weekend's curtain-raiser, the venue is ready to take the next step.